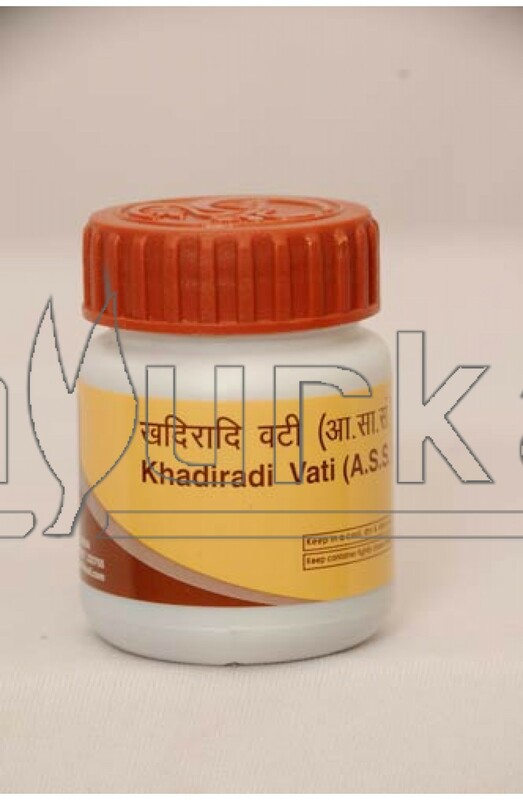 Divya Khadiradi Vati is an effective treatment for the oral problems like, mouth ulcers, gums, throat and teeth. 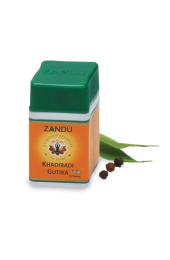 Advantages: Divya Khadiradi Vati deals with the various oral problems of the body. The Vati is used for the treatment of bad breath, throat infections, Tonsillitis, Bronchitis, oral ulcers and other tooth and gum diseases. Directions of Use: Take one tablet of Divya Khadiradi Vati after food with lukewarm water or milk, twice a day. 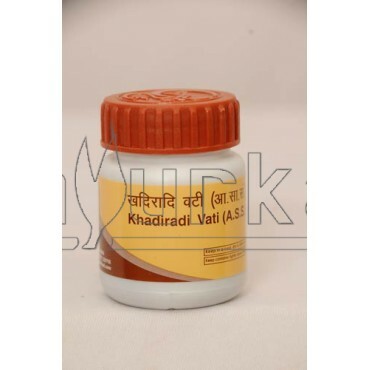 Packing: Divya Khadiradi Vati is available in packing of 80 tablets.